See also: What is Evangelical Mysticism? Evangelicalism began in the 18th century revival movements called the Great Awakenings. Jonathan Edwards, John Wesley, and George Whitefield were among the first Evangelicals. They were called Evangelicals, because they focused on the evangelion or the Gospel message. But some of them also had mystical tendencies, or an openness to spiritual experiences, and this allowed revival phenomena to continue in their churches and meetings. I am going to chart some of the prominent figures that come to my mind. 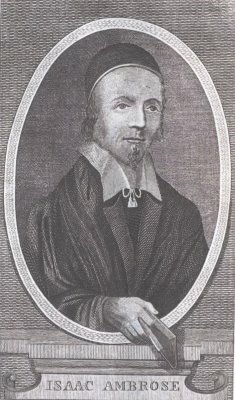 d. 1664 – Isaac Ambrose. I don’t know much about this man. I do know that he was a Puritan, but not the typical rationalistic kind. His book Looking Unto Jesus dealt with the salvation we have in Christ, and practical instructions on meditation and contemplation. The book was highly valued by John Wesley, Leonard Ravenhill, and other great preachers. See Tom Schwanda’s Soul Recreation: The Contemplative-Mystical Piety of Puritanism (2012). 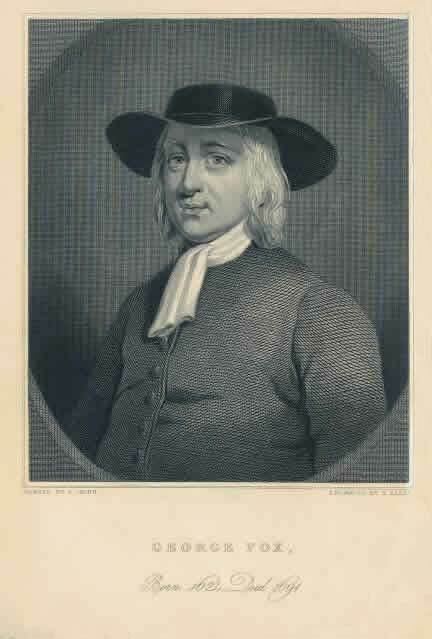 d. 1691 – George Fox. The founder of the Quakers might very well be the first evangelical mystic in the sense that he was a founder of a Protestant denomination which held onto Puritan ethics, developed an Arminian view of grace, and openness to the experiences of the Holy Spirit through mystical silence. See The Journal of George Fox. 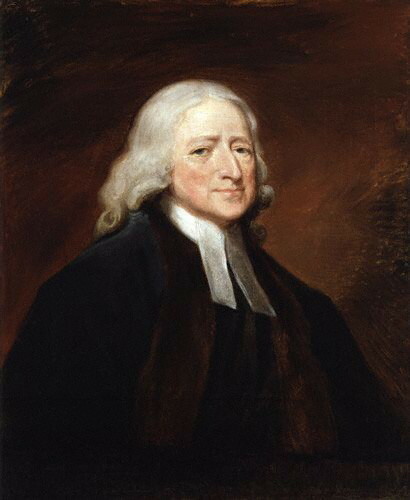 d. 1791 – John Wesley. The founder of the Methodist movement during the times of the Great Awakenings, John Wesley was raised in the Church of England (Anglican). As far as I know, he was the first Evangelical mystic (properly so-called). His background prepared him for it. The Church of England is sort of a cross-breed between the Roman Catholic Church and a Protestant church. Among the Catholic influences, the Anglicans have always had a respect for the Catholic saints, and more of an openness to the Catholic mystical tradition. Because Wesley was raised to appreciate the Catholic mystics, in one dimension or another, when he became a Methodist leader, he naturally imparted whatever level of mysticism he had to the early Methodists. Honestly, I don’t know just how mystical Wesley really was or how much he practiced contemplation. But what I do know is that he was an avid reader. And he was a big fan of Thomas a Kempis’ The Imitation of Christ and Michael Molinos’ The Spiritual Guide (on contemplative prayer). His life was filled with spiritual experiences: see Daniel Jennings’ The Supernatural Occurrences of John Wesley. For more on this subject, see Robert Tuttle’s Mysticism in the Wesleyan Tradition (1989). d. 1947 – Smith Wigglesworth. d. 1963 – A. W. Tozer. An influential preacher in the Christian & Missionary Alliance. He is “the grandfather of Evangelical mysticism” in the modern sense. He wrote The Pursuit of God (1948), which influenced Richard Foster and many other people in the Charismatic movement of the 1970s and on. Although Tozer’s classic book is sort of hard to understand because of his extremely educated selection of vocabulary words, in it you can see a man that had a high regard for the Catholic mystics, holiness, humility, detachment from possessions, contemplation, and hearing God’s voice. See E. Lynn Harris’ The Mystic Spirituality of A. W. Tozer (1992)–might be hard to find at an affordable price, though. d. 1997 – John Wimber. The founder of the Vineyard churches. In the late 1970s, Wimber had Bible study groups at one point in a Quaker church, and at another point with a Calvary Chapel church. But because he moved in the direction of miraculous gifts in his church meetings (1 Cor. 12:8-10), he was excluded from both of these groups. He went on to join the then forming Vineyard church in a home. Eventually, Wimber rose to be a prominent Vineyard leader. And when Richard Foster’s Celebration of Discipline (1978) came out, he ate that book up! Contemplation and spiritual experiences were important to Wimber, but especially divine healing. He wrote two books on healing: Power Evangelism (1986) and Power Healing (1987). Crowder claims not be a universalist. Crowder merely claims to believe in unlimited atonement or “universal atonement” (Arminian view). I agree with unlimited atonement. Crowder called double predestination and limited atonement a demonic idea, which Wesley and myself agree with Crowder on. If its not demonic, then its at least a very bad interpretation of Scripture. I reject double predestination and limited atonement. 25:00-26:00 goes in the universalism direction. He extends universal atonement to mean that every man has been atoned for automatically (whether or not individuals come to personal repentance and faith in the cross). 31:00ff – Crowder believes its possible people in Hell “under the earth” will all truly worship Jesus and be saved (universalism). 31:55ff – Crowder quickly retracts by saying, “I am not a universalist…but I do have hope.” But terminology will not save him from the universalistic interpretations of Scripture to which he obviously holds (or leans toward). To believe anyone is saved from Hell, after already having been condemned there, is not the Arminian view of unlimited atonement; it is Christian Universalism. 34:00ff – Crowder says the reason why he is not a “Universalist” is because he’s not dogmatic about it. He claims a certain level of agnosticism or uncertainty about the universalist revelation. He’s a “hopeful universalist,” but not a dogmatically, absolutely sure, card-carrying Universalist with a capital “U”. 38:00 – “I am not saying that all roads lead to Rome” (that is, he’s against religious pluralism, or the John Hick view). 39:00 – “I actually do not vilify Christian Universalists as ultimate heretics.” That is, people like Rob Bell (Love Wins). 42:00 – Crowder says his “trinitarian” (trinitarian universalism) influences in this view are C. S. Lewis, Robert Farrar Capon (especially), C. Baxter Kruger, Steve McVey, Francois du Toit, Karl Barth, and T. F. Torrance. The end of God’s appointing this day is for the manifestation of the glory of His mercy, in the eternal salvation of the elect; and of His justice, in the damnation of the reprobate, who are wicked and disobedient. 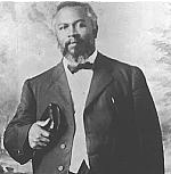 For then shall the righteous go into everlasting life, and receive that fulness of joy and refreshing, which shall come from the presence of the Lord; but the wicked who know not God, and obey not the Gospel of Jesus Christ, shall be cast into eternal torments, and be punished with everlasting destruction from the presence of the Lord, and from the glory of His power. MAT 25:31 When the Son of man shall come in his glory, and all the holy angels with him, then shall he sit upon the throne of his glory: 32 And before him shall be gathered all nations: and he shall separate them one from another, as a shepherd divideth his sheep from the goats: 33 And he shall set the sheep on his right hand, but the goats on the left. 34 Then shall the King say unto them on his right hand, Come, ye blessed of my Father, inherit the kingdom prepared for you from the foundation of the world: 35 For I was an hungred, and ye gave me meat: I was thirsty, and ye gave me drink: I was a stranger, and ye took me in: 36 Naked, and ye clothed me: I was sick, and ye visited me: I was in prison, and ye came unto me. 37 Then shall the righteous answer him, saying, Lord, when saw we thee an hungred, and fed thee? or thirsty, and gave thee drink? 38 When saw we thee a stranger, and took thee in? or naked, and clothed thee? 39 Or when saw we thee sick, or in prison, and came unto thee? 40 And the King shall answer and say unto them, Verily I say unto you, Inasmuch as ye have done it unto one of the least of these my brethren, ye have done it unto me. 41 Then shall he say also unto them on the left hand, Depart from me, ye cursed, into everlasting fire, prepared for the devil and his angels: 42 For I was an hungred, and ye gave me no meat: I was thirsty, and ye gave me no drink: 43 I was a stranger, and ye took me not in: naked, and ye clothed me not: sick, and in prison, and ye visited me not. 44 Then shall they also answer him, saying, Lord, when saw we thee an hungred, or athirst, or a stranger, or naked, or sick, or in prison, and did not minister unto thee? 45 Then shall he answer them, saying, Verily I say unto you, Inasmuch as ye did it not to one of the least of these, ye did it not to me. 46 And these shall go away into everlasting punishment: but the righteous into life eternal. ROM 2:5 But after thy hardness and impenitent heart treasurest up unto thyself wrath against the day of wrath and revelation of the righteous judgment of God; 6 Who will render to every man according to his deeds: ROM 9:22 What if God, willing to shew his wrath, and to make his power known, endured with much longsuffering the vessels of wrath fitted to destruction: 23 And that he might make known the riches of his glory on the vessels of mercy, which he had afore prepared unto glory. MAT 5:21 His lord said unto him, Well done, thou good and faithful servant: thou hast been faithful over a few things, I will make thee ruler over many things: enter thou into the joy of thy lord. ACT 3:19 Repent ye therefore, and be converted, that your sins may be blotted out, when the times of refreshing shall come from the presence of the Lord; 2TH 1:7 And to you who are troubled rest with us, when the Lord Jesus shall be revealed from heaven with his mighty angels, 8 In flaming fire taking vengeance on them that know not God, and that obey not the gospel of our Lord Jesus Christ: 9 Who shall be punished with everlasting destruction from the presence of the Lord, and from the glory of his power; 10 When he shall come to be glorified in his saints, and to be admired in all them that believe (because our testimony among you was believed) in that day. Crowder does not reject Hell-fire torments, but he does reject the “eternity” of Hell-fire torments. “I don’t know” seems to be his bottom line. But note the everlasting fire, everlasting punishment, and everlasting destruction spoken of in Matthew 25:41, 46; and 2 Thessalonians 1:9. He would do well to appropriate the truths of Robert Tuttle’s Mysticism in the Wesleyan Tradition and Christopher Morgan’s Hell Under Fire. 59:00 – To the issue of “What of those who have not heard the Gospel?” He again says, “I don’t know.” And he cannot say such people are automatically going to Hell when they die. 1:08:00 – Expresses an “everyone is an anonymous Christian” view (cp. Karl Rahner). Three issues are burning today for Evangelical mystics. Quietism, New Age occultism, and Universalism. We need to be on guard against the errors of Madame Guyon and Michael Molinos. Augustin Poulain dealt with this in his chapter “On Quietism” in The Graces of Interior Prayer. We also need to guard ourselves against New Age occultism. There are many good Evangelical books about this. The best I know of is Clifford Wilson and John Weldon’s Occult Shock and Psychic Forces. And finally, we need to know for sure, that all Universalism is heresy (George Fox, Quakers, etc); and only an explicit faith in the revealed Gospel of Jesus Christ, will effect salvation by faith. A good explanation of this can be found in R. Douglas Geivett and W. Gary Phillips’ “A Particularist View: An Evidentialist Approach” in Four Views on Salvation in a Pluralistic World. I read your book as a free download pdf and loved your compendium of authors. Thank you for your website and this post with pictures of Evangelical Mystics in church history. Currently, I am reading E. Lynn Harris on Tozer’s Mystical Spirituality (very pricey but worth it) and have discovered in it and here on your website that A. B. Simpson is also in the category. As far as your inclusion of John Crowder, I accepted his ministry at first and bought his book. But when I heard his cd on “Toking the Ghost”, I became sickened in my spirit. He uses many terms from worldly drug cultures-toking, whacked out, huffing, a little Godka and I could go on. I threw it out and repented for buying it. I find it irreverent and unGodly and a very poor role model for young Christians. Let me not forget to mention “Drunken Glory Schools”. It is all very troubling. Thanks for the rest! Thanks for your writing. I appreciate it very much. 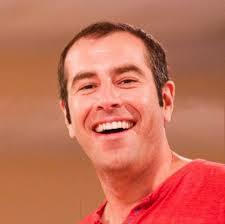 I live near Santa Cruz & had attended John Crowder’s church for a while. Some people who go to his meetings might do some shock value type things, but lots of people there will tell you that his teachings have changed their lives and brought them closer to God. It’s hard to say where to draw the line, is it ok to say that you were drunk in the spirit and not high on Jesus? The main thing he preaches is to encounter God through trance etc., which I think is a good thing. The things that he teaches that are strange to me are bipartide instead of tri (body, soul spirit) and consubstantiation in regard to communion. Neither teaching is a make or break deal to me. Besides John Crowder’s teaching, yours is the only other I’ve read on Christian Mysticism, and what I have learned from you has been very valuable to me. Excellent article. Thanks for breaking the time line of evangelical mysticism down. Learned a great deal. Thanks for your article. Just to clear up your one paragraph summary of my beliefs (note sarcasm), I am not a moderate Universalist. I align mostly with Trinitarian theology (which is totally different – people get confused because it recognizes a universal atonement, which is overwhelmingly present in the epistles). Not have I ever rejected the absolute necessity of faith in Christ. Also if you are interested to hear what I really believe about the “eradication of original sin” (as you summarized it) I would encourage you to check out my book Mystical Union. John Crowder: “Somebody’s gonna say, ‘Are you a Universalist?’ NO! ‘Are you saying there’s no Hell?’ NO! I AM A HOPEFUL UNIVERSALIST. I believe that Hell is an eternal life sentence, but I’m also not gonna write off all the overwhelming number of passages that do suggest the opportunity for parole. A dogmatic Universalist, however, makes presumptive claims about Hell either not existing, or just being temporary, and I’m not gonna do that. But I do have hope. If you don’t have hope that everybody makes it out of Hell, and you want their fat to fry in the flames, well guess what, you’re probably going there yourself my friend. Even God has this hope. He wants all men to come to repentance and a knowledge of the truth. And I’m content to leave these things in the dialetical tension of mystery. I know that makes my Universalist friends angry. And it also makes my Calvinist and Arminian friends angry, because I won’t draw hard lines where no hard lines exist.” (13:08-14:10 of “Vessels of Wrath or Mercy? (Election Part 2) – The Jesus Trip” on YouTube). I (almost) apologize, John. I guess I put you in the same category as Rob Bell, which was a snap knee-jerk judgment. However, in your video “Vessels of Wrath or Mercy? (Election Part 2)”, I think I took some of the phrases in that video to mean a moderate or “anonymous” universalism (aka. “You can’t tell who will end up in Heaven or Hell based on their earthly lives–for example Pharaoh or Mother Teresa). I was a bit turned off by that, because its clear to me neither of them repented and believed in the true Gospel prior to death. Pharaoh clearly died thinking he was an Egyptian god and Mother Teresa died as a Mary-is-the-only-mediatrix Catholic. Both clearly never believed in Christ alone and the atonement He secured for us on the cross. I suppose you’ve cleared yourself on my article by denying any universalism. Thanks for the clarification. However, if you are willing to label yourself on the spectrum of views on grace–where would you place yourself? Calvinist, Reformed, moderate, classical, Arminian, Wesleyan, etc.? I’d like to know. I’m sure the followers of your ministry would too. Especially pastors. I am writing a paper on Wesleyan Mysticism for a course at Asbury Seminary. I love how small the theological world can be. You recommended a book written by Robert Tuttle, which who happens to be the professor for the class. However, I do realize the subject is rather limited. Hello, I find this work very enlightening. I would like to request permission to include a part of it, the psry of the mystics in something I am currently writing on Entering fulness.